Large commercial buildings such as Leisure centres, Schools, Hospitals and Hotels have areas out of reach from the daily cleaning schedule. 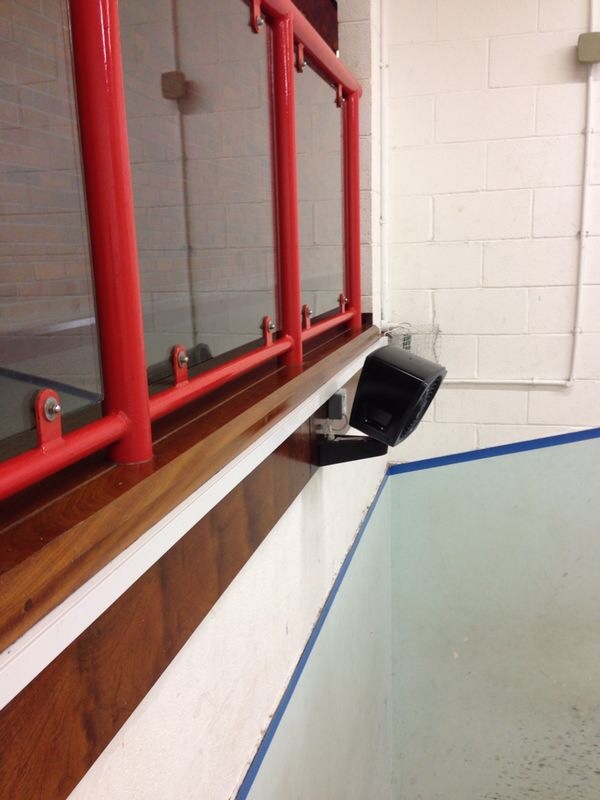 Buildings can be kept clean and maintained to a high standard however all it takes is one dusty ledge 5 metres high which customers can see to give the impression the building is not cleaned thoroughly or regularly. Quote Me Clean have a vast range of high access equipment ranging from telescopic poles which can reach 60 foot to 15 Metre mechanical scissor lifts allowing our operatives to hand clean to great detail these normally out of reach areas. High level cleaning can cause disruption during your normal business hours. We offer out of hours services to carry out the work allowing you to run your business as normal. Quote Me Clean are fully Trained & insured for all High Level Cleaning. We provide certificates, Detailed Method statements and risk assessments for your Health and safety officer. Quote Me Clean operatives are stocked with all the latest PPE and cleaning tools to ensure we complete the job to the highest possible standard safely. 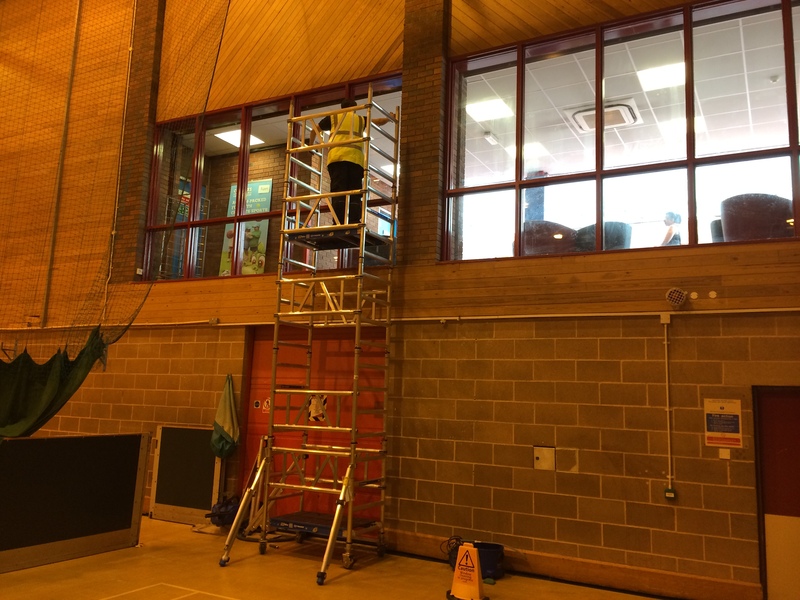 High Level window cleaning in a Lesiure centre.